THE ROWDY RESCUERS ARE FLYING INTO TOWN TO HELP UNLEASH THE HERO IN YOU! 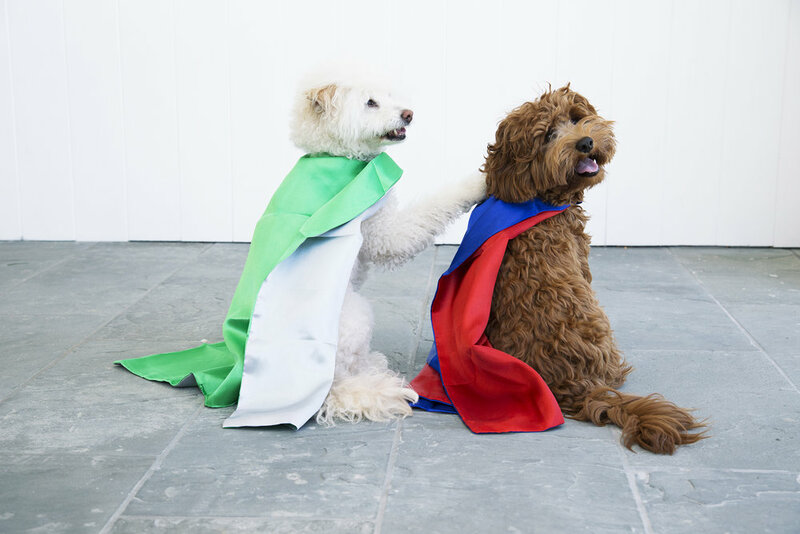 Mischievous, whimsical heroes who not only rescue animals, but create positive change. Big Lou to the rescue. He's the loyal leader who's large, loud and lovable. Flying higher and faster, rescuing animals and spreading compassion and love. BE THE VOICE FOR ALL ANIMALS. Kicky the Cat is fierce, fabulous and fun! She's on a jetpack mission to educate, not discriminate. She gets a kick out of catnip. GET ROWDY AND SAVE ANIMALS' LIVES! Jumping Jax is the rabbit who jumps into action, advocating: to spay is the way, and it's cuter to neuter. FIGHTING ANIMAL OVERPOPULATION & SAVING LIVES. Tricky Sam can adapt to every situation. Clever and creative, he strives to find animal welfare solutions every chance he gets. NOW AVAILABLE FOR ADOPTION! By purchasing these toys, you are being the VOICE for all animals. These toys embody the mission that we, ordinary individuals, can become a Rowdy Rescuer and do extraordinary things to help and protect animals. The mission of the collection is to find strong partners to help educate the community. Every year, 6.5 million companion animals enter our shelters and 2.4 million are euthanized. Most are healthy and highly adoptable. Shelters have limited resources and rescue alone cannot solve the problem. Through awareness and education, we can battle obstacles, protect the innocent, and be a voice for the voiceless. It's time to get rowdy and save animals' lives!